You should have at least six of the essential medical supplies with you all the time. Whether you are a stay at home mom, a physician or a general practitioner you need these items. Through the simple guide by save rite medical facility, you can learn more about these medical supplies and where to get them at a fair price. They will help you in case there is a need for emergency medical attention. Pain is a common medical problem experienced by many people from time to time. It could be in the form of migraines, stomach pains or pain due to inflammation on various parts of the body. Having effective painkillers at hand is important. Some effective painkillers that you should have at hand include the ice bags and over the counter painkiller drugs. You should have medical supplies that can help treat allergic reactions fast. In some cases, some allergic reactions can be life-threatening. That is why you should have some antihistamines and Epinephrine at hand. Allergic reactions may be caused by food, change in weather patterns and many other stimuli. You should be prepared to offer medical help in case of allergic reactions. 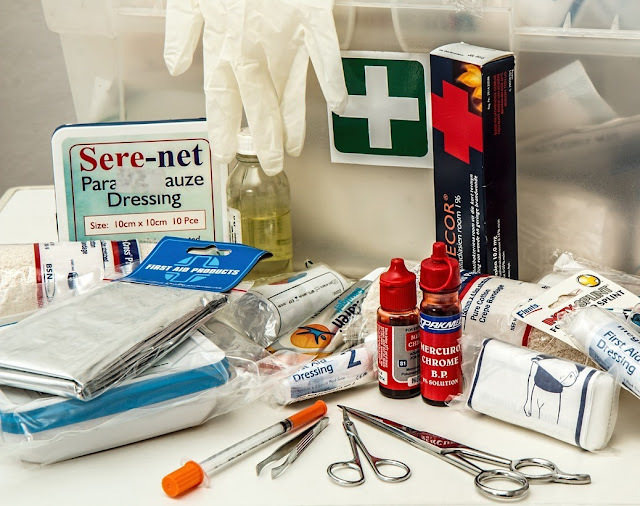 Bandages and sutures are essential for wound care. You should have supplies to stop bleeding and close wounds. It is important to have medical supplies that can cater for both minor and major wounds. A hydrocolloid dressing is the most preferred type of dressing for wounds. This is mainly because they are easy to use, and they do not stick to the wound. Wound healing is maximized through the use of this types of dressing. As a caregiver, you should protect yourself from infections. Having a pair of gloves that enable you to attend to a patient without risking infection is important. They should be within reach so as to avoid wasting time in case of emergency situations. These will help prevent infections. They should be available in every home or medical facility. It is important to keep them within easy reach as this should be the first step before attending to a patient. Safety of medical practitioners is very important. Antibiotic ointments, gauze, and wound dressings are important as they help prevent further infections, especially on wounds. You should keep a thermometer at hand at all times. Rising temperatures are a symptom of illnesses. This is especially so in babies. Opt for a thermometer that does not use mercury. Mercury is harmful to health in many ways. With advanced technology, you can get an electronic thermometer that is also very simple to use. Other alternatives include the ear canal, alcohol and forehead thermometers. These six medical supplies are essential. They should be stored safely in a first aid kit. At home, every family member apart from the children should be aware of where to get the first aid kit. In a medical facility set up, such supplies should be strategically put in a place accessible by all medical staff.